Your computerised record is accessed in all consultations with the Doctor, Nurse or Healthcare Assistant and assists us in maintaining high standards of clinical care. Use of the computer helps us to keep a record of preventative care procedures (like vaccinations and cervical smears) and is used for all prescribing. Use of all data within the Practice is governed by the Data Protection Act 1998. We also comply with the Freedom of Information Act 2000. We respect your right to privacy and keep all your health information confidential and secure. It is important that the NHS keeps accurate and up-to-date records about your health and treatment so that those treating you can give you the best possible care.This information may be used for management and audit purposes. However, it is usually only available to, and used by, those involved in your care. You have the right to know what information we hold about you. If you would like to see your records, please contact the practice manager. In 2006 the Government introduced a central electronic system to store all patient records nationally. This is called NHS Summary Care Record. Patients can opt out of this by filling in a form to withhold their details. These forms are available from Reception. On the Staploe Medical Centre website, our cookies record information about your online preferences so we can tailor the site to your interests. You can set your device’s preferences to accept all cookies, notify you when a cookie is issued, or not receive cookies at all. Selecting the last option means you will not receive certain personalised features, which may result in you being unable to take full advantage of all the website's features. Each browser is different, so please check the "Help" menu of your browser to learn how to change your cookie preferences. Please note that during your visits to our website you may notice some cookies which are unrelated to us. If you visit a page with content embedded from an external source, for example, YouTube or Flickr, you may be presented with cookies from these websites. We do not control the dissemination of these cookies. You should check the third party websites for more information about these. We welcome suggestions about ways of improving the services we offer. These can be made to your Doctor, the receptionists or the Practice Manager. There is also a suggestions box in the waiting room into which you can post your comments. 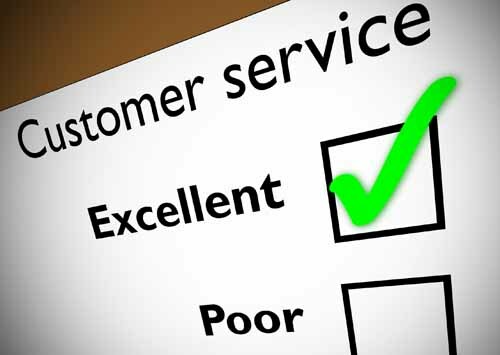 We offer an in-house procedure to deal with complaints about the service we provide. We also run a Patient Participation Group, which uses an online forum for discussion on how the practice is run, and works towards improving the service we offer our patients. Please ask at reception for details. The practice aim is to give the best possible service to all our patients and we welcome your comments both positive and negative. Please address your comments or complaints to Mr Andy Botcher, our Practice Manager. Please note that if you wish to make a complaint on behalf of someone else, that person's written consent is necessary before we can discuss the matter with you. The practice endeavours to deal with all complaints as quickly as possible but if it involves a lot of investigations it may take longer than anticipated. The practice will keep you informed and we try to resolve matters within two weeks. All patients are entitled to bring a friend or relative to any meeting during the process. The practice hopes to provide an explanation or an apology if that is appropriate and discuss any further action that may be needed. You may wish to engage the service of PALS (Patient Advice Liason Service) who can be contacted on 01223 884418 to help you draft your complaint. By email to: england.contactus@nhs.net (Please state: ‘For the attention of the complaints manager’ in the subject line).